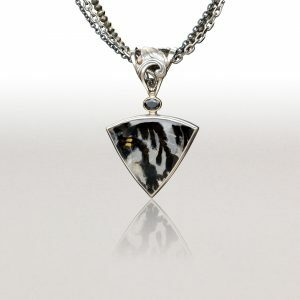 This necklace looks terrific no matter where the leaf shifts on the neck. 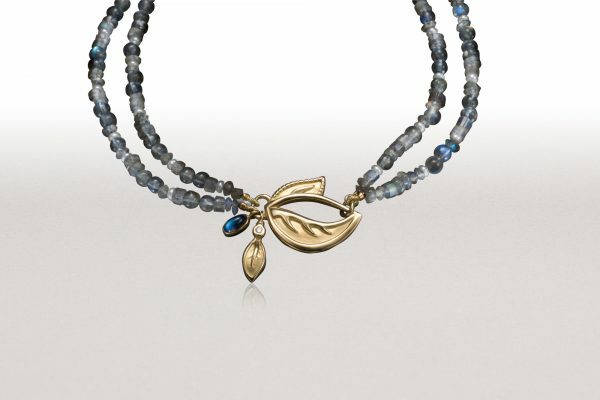 A Rainbow Moonstone dangles with a small leaf set with a diamond from the large leaf. Labradorite beads and white freshwater pearls enhance the colors of the moonstone. This 18k pendant is strung with labradorite beads and white pearls. 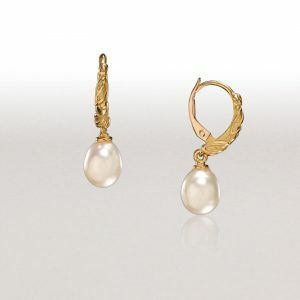 The dangles are Rainbow Moonstone and small leaf set with a diamond.